Enschede has a small airport: Enschede Airport Twente (IATA: ENS, ICAO: EHTW) which is located north of the city. After years of minimal activities the airfield officially reopend in 2017 for business and general aviation aswell as a testing site for aero related organisations. There are at the moment no public transport links to this airport. Remains of the former airbase are visible around the airport. From Amsterdam Schiphol Airport the Dutch Railways offers a direct connection to Enschede. The railway station is located under Schiphol Airport and in only two hours you will quickly travel to Enschede. You can also travel by the nearby German airports of Munster or Dortmund. In 1931 a small airfield opened its doors north of Enschede and got its name Vliegveld Twente, a name still in use by many people in the Twente area. Not much happend in the years after untill the Second Worldwar startet. Buildings and runways where destroyed to prevent use by the Germans. 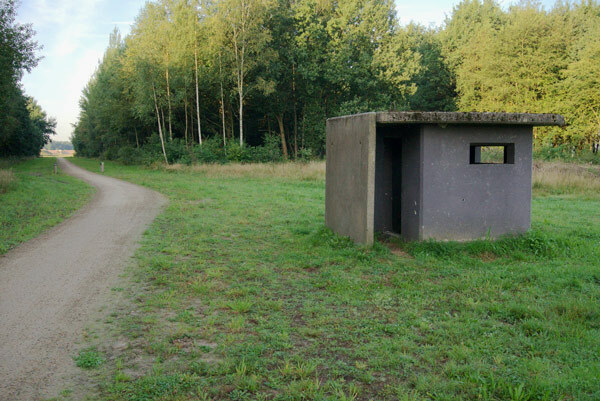 The occupied forces quickly repaired main infrastructure and during the war the size of the airbase 'Fliegerhorst Twente' grew rapidly. At the end of the war reaching from Oldenzaal in the norrth, almost touching Enschede in the south. At the end of the war the airfield was heavily damaged by allied bombing and demolishing by the germans. After the war the Dutch decided to keep the military status and rebuild the airport mainly as a base for F-16 aircrafts. But it was also used for other kinds of aero activities. In de past charters flew from Twente to Las Palmas, Dalaman, Antalya, Mallorca and Lourdes. Also a shuttle flight between Schiphol was maintained.